The chairman accused councillors of attempting to usurp power. The Kherson regional council dismissed its chairman and member of the Petro Poroshenko Bloc, Andriy Putilov, late on 9 September. The local website Khersonskiye Vesti said that his dismissal was put on the agenda after Putilov and the Petro Poroshenko Bloc faction had already left the session hall. 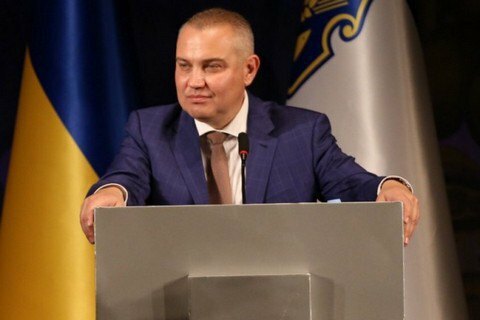 The session continued on the initiative of a deputy head of the regional council, Vasyl Zelenchuk (Radical Party), who initiated Putilov's dismissal. Councillors registered again, elected a new co,position of the legal and vote count commissions. They voted with hands because technical personnel left together with the Petro Poroshenko Bloc faction. The decision was supported by 38 councillors. Putilov, for his part, accused the participants in the session of trying to usurp power. "Politickers from Our Land, Opposition Bloc and Fatherland joined efforts, decided to sabotage the work and fully disrupted the session. They pursued only one goal, which is to seize power, seize the chair of the regional council head. I do not hold to that seat, but I care about peace and preventing militarisation in our region which borders on occupied Crimea," Kherson.Online quoted Putilov as saying.